best quality hybrid TTL dental loupes surgical loupes 3.5X,Can be mounted prescription lens. sports frames with flip up functions.easy using, high quality,custom made loupes, don't need adjust any more, super light weight, closer to your eyes offering largest fields of view. 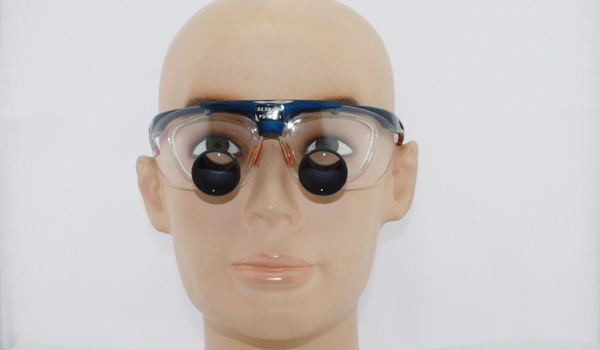 TTL loupes sports frames can be mounted prescription lens.our TTL dental loupes TTL surgical loupes are the best quality in the market. and price is manufacturer direct price. TTL (through the lens ) loupes are widely used in dentistry, Department of Stomatology, ENT department, general surgery, cervical spine Department of Neurosurgery, cardiovascular and cerebrovascular disease, cosmetology and plastic surgery, pet hospital and other medical fields. 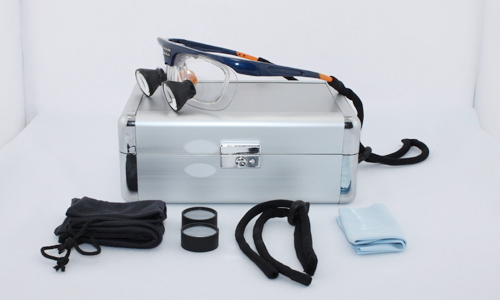 IT is a a necessary magnifier glassesfor doctors in the fine examination and treatment, that will be more better using the TTL loupes with LED headlamp. 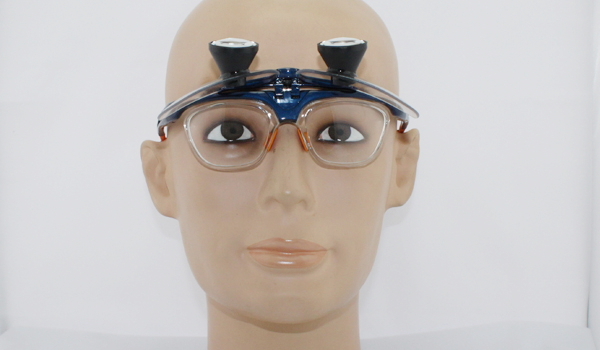 Hybrid style: Hybrid loupes is also special designing TTL loupes, it can not be moved from line of vision and the user can not make adjustments to the angle of declination to accommodate for the patient position.Hybrid loupes is custom made, it is much more expensive than the Flip-Up loupes. The loupes Through The Lens are light weight, and laconic appearance.It has fashionable design and comparable with designer frames. Hybrid loupes is TTL style loupes, it can be Flip Up when user don't need use loupes, it also can be mounted presscription lens. the weight is heavier than the Normal TTL loupes. Frames size is "one size fits all"
TTL style dental surgical loupes surgical is custom made loupes, so when you order,please choose the correct information is very important. there are 340mm 420mm 500mm 550mm working distance, because the loupes has depth of view, the loupes working distance covered a range. So please choose the one which is closer to your working distance you need. Measure your near pupil distance according to your working distance, for examples,. Your working distance is 420mm, please look at the objects far away from your eyes 420mm, at the same time measure the pupil distance, and then choose the pupil distance, if your pupil distance has different with your right eyes and left eyes, when you checking out, please leave message indicate it. sports frames are “one size fits all” designing, Ni-alloy frames and Titanium frames has different frames, middle size can fits most of all the users. If you need mounting prescription lens, please choose “Prescription lens data” and fill that. 3.5x Hybrid loupes, also is light and laconic appearance with 3.5 magnification. 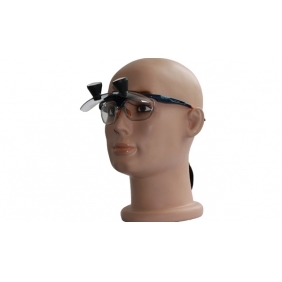 it have Flip Up funciton and also can be mounted prescription lens. Tell us what you think about Hybrid TTL Loupes 3.5X, share your opinion with other people. Please make sure that your review focus on Hybrid TTL Loupes 3.5X. All the reviews are moderated and will be reviewed within two business days. Inappropriate reviews will not be posted.